operating costs. As a significant amount of the programs run involve outdoor activities, it is the cost associated with running the refrigeration for the fully licensed bar and restaurant attached to the centre, as well as air conditioning for such a large venue, that meant the electricity bills were quite significant. In the first assessment of this client’s needs, we recognised the tariff they were on could be bettered, so referred them to a broker who arranged several quotes to reduce their existing tariff rates. The initial reduction in tariffs was just over 10%. Solargain then set about looking at what the solar system could do. It was assessed that a 60kW system be provided in order to cover the vast majority of the daytime loads of what will be an expanding facility. 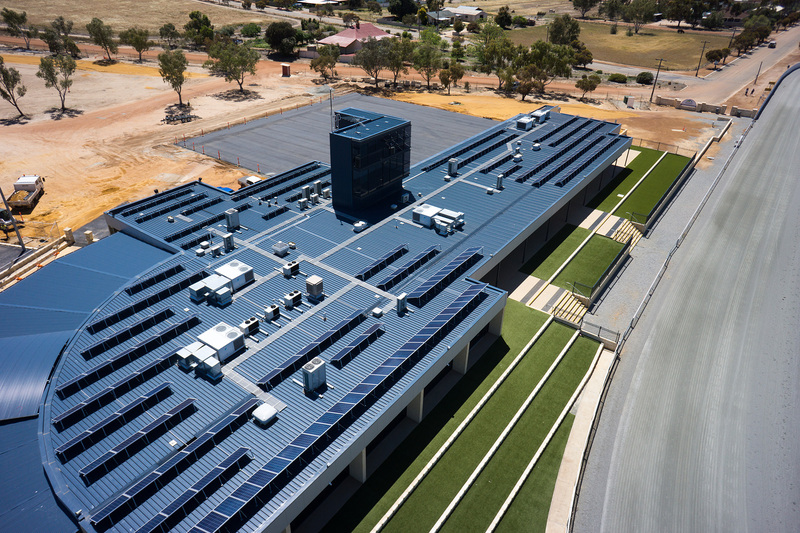 Apart from our experience in providing systems of this size to various clients, it was Solargain’s ability to provide an overall solution, including tariff negotiation and finance through our relationship with Macquarie Bank that impressed the board of the facility, and resulted in them choosing Solargain for this project. Given the segmented nature of the roof space, the amount of panels being installed, and the distance from our office (Kellerberrin is 3 hours from Solargain’s nearest office), we created a to-scale 3D panel placement model in order to allow both the client and installation team to see exactly where everything was to be located. This type of preparation is now a standard part of our consultation process with clients who are seeking to install larger scale systems.